Come experience these exhibits while they last! Three robot animals and seven hands-on activities illustrate fascinating real-life characteristics, such as how a chameleon changes colors and a fly walks on the ceiling. The larger-than-life-size animated robots include a chameleon and a platypus. Also featured is a house fly with a 3-foot wingspread. Sensory activities include "Swat the Fly," a test of the visitor's reaction time (one-twelfth as fast as a house fly's), and "Sticky Feet," where visitors using special hand pads can try to stick like flies to a sloped surface. Triggering the "Tongue Gun" demonstrates how a real chameleon shoots out its long, sticky-tipped tongue to reel in a meal. The exhibit is based on the book The Robot Zoo that was conceived, edited and designed by Marshall Editions of London, England. The exhibit will be open from January 19, 2019 until May 10, 2019. STEM exhibits are used in programming and are made possible by The Richard Brooke Foundation, Dr. C.C. and Mabel L. Criss Memorial Foundation, First National Bank, Gallup, Adah and Leon Millard Foundation, Mutual of Omaha, Union Pacific, and Valmont Industries. The exhibit includes art and artifacts themed from a time when humans curiosity with the skies led to the space race between the United States and the Soviet Union. The exhibit includes artifacts on loan from the National Museum of the United States Air Force, the Cosmosphere, artist Chesley Bonestell, and U.S. Space and Rocket Center. Featured items include official photos of the Apollo 11 moon landing, science fiction art by Chesley Bonestell, Soviet Union space propaganda posters, along with Mercury, Gemini, and Apollo program artifacts; and everyday items representing the space race inspired design. This one of a kind collection of art and artifact exhibit will capture the beauty and imagination that inspired an entire generation to reach beyond what they thought possible. This exhibit is made possible by Dr. C.C. and Mabel L. Criss Memorial Foundation and Valmont Industries. Come experience these year-round exhibits today! 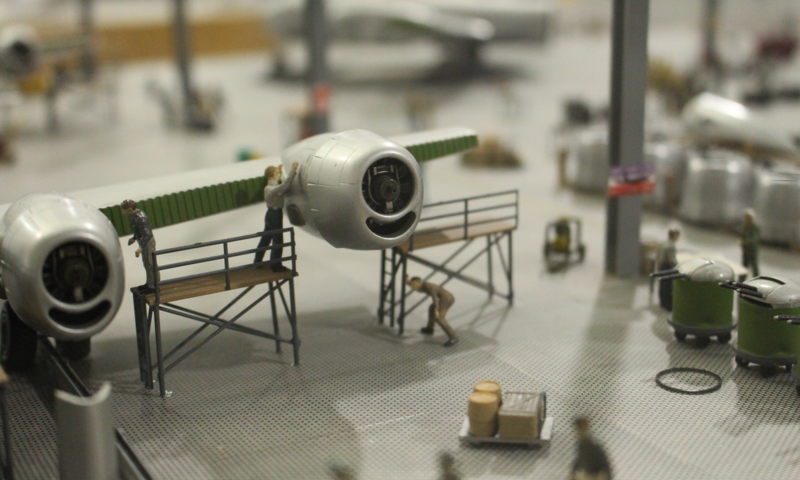 This exhibit focuses on the strategic bombers of WWII. 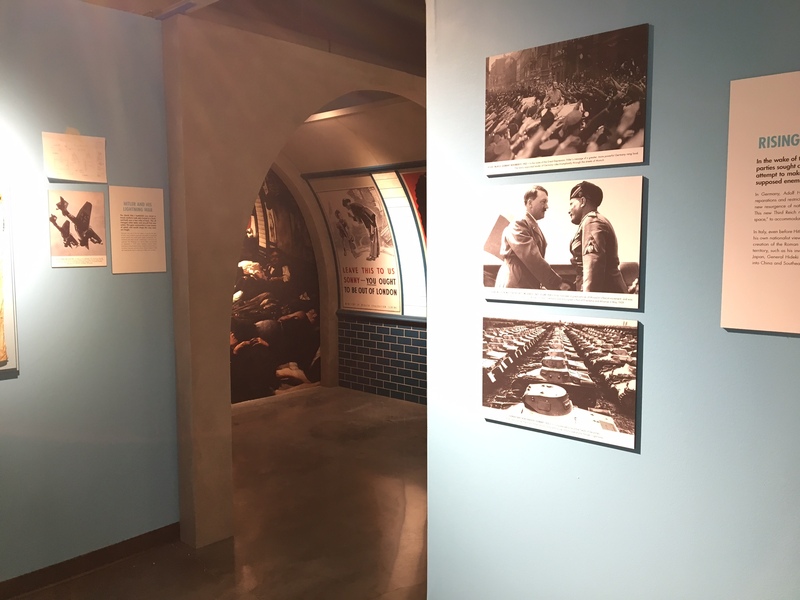 The exhibit includes a new gallery and displays set around five historic aircraft that tell the story of strategic bombing doctrine and strategy development, highlighting strategic bombing campaigns in the European and Pacific theaters. 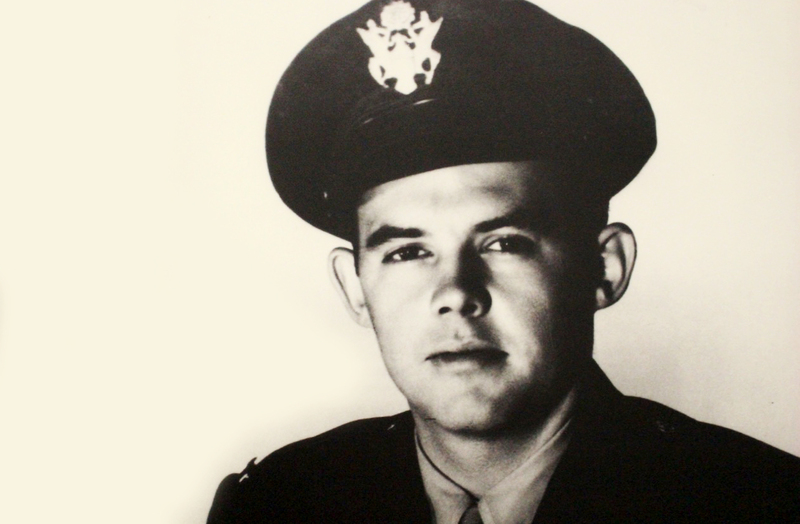 This exhibit celebrates the memory of lifelong Lincoln, NE native, Richard Joyce, who took part in the 1942 attack on Tokyo, led by Jimmy Doolittle. After the disastrous events of December 7, 1941, at Pearl Harbor, the United States military pushed for a retaliatory strike on Tokyo. Though many said it could not be done, Lt Col. Doolittle managed to devise a plan that took 16 Army Air Force B-25 bombers from the deck of the USS Hornet. Explore the artifacts of a U-2 pilot who was part of a secret mission. 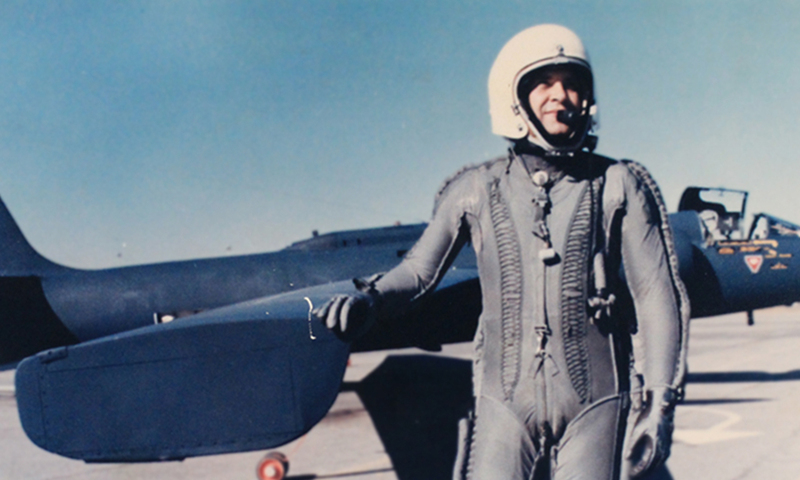 On May 1, 1960 U-2 pilot Francis Gary Powers was shot down by the Soviet Union. Powers' CIA-sponsored reconnaissance mission, referred to as “Operation Overflight” happened during a tense time between the United States and the Soviet Union. Francis Gary Powers was shot down in Soviet air space. The incident, his experience in captivity, and the real story released decades later after declassification are captured through items on display highlighting the critical Cold War event. Also included are relevant commendations from the USAF and CIA awarded after his passing in a news helicopter accident in 1977. This exhibit is funded in part by Humanities Nebraska and the Nebraska Cultural Endowment. 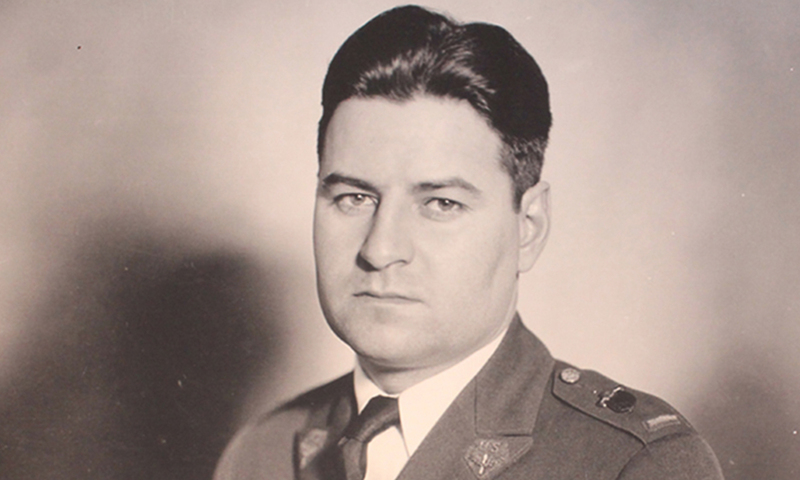 General Curtis LeMay, U.S. Air Force, was the iconic leader of the Strategic Air Command (SAC) often referred to as the ‘father of SAC.’ During his nine years as SAC Commander-in-Chief (CINCSAC), from 1949 to 1957, General LeMay’s uncompromising commitment to high training standards, demanding evaluations and continuous operations turned SAC into a highly professional, very effective nuclear-capable military force that enabled the United States to win the Cold War. The exhibit features General LeMay’s WWII Pilot’s Flight Case with aviation charts, navigational tools, and manuals; his flight jacket, his desk from days at Offutt Air Force Base, as well as international retirement gifts from his time as the USAF Chief of Staff. There is also a video documenting the SAC Underground Command Post and the famous “Red Phone” which was used for the CINCSAC to issue guidance to all SAC bases. One of the primary elements of American victory in WWII was the use of heavy bombers. The Strategic Air Command & Aerospace Museum commemorates one of the most productive heavy bomber plants, the Martin Bomber Plant, at what is now Offutt Air Force Base, Nebraska. It was here that both atomic bombers Enola Gay and Bockscar were manufactured. Highlighted are detailed models of the plant, as well as original wooden floor bricks, tools, and an engine piston from the bomber Enola Gay. 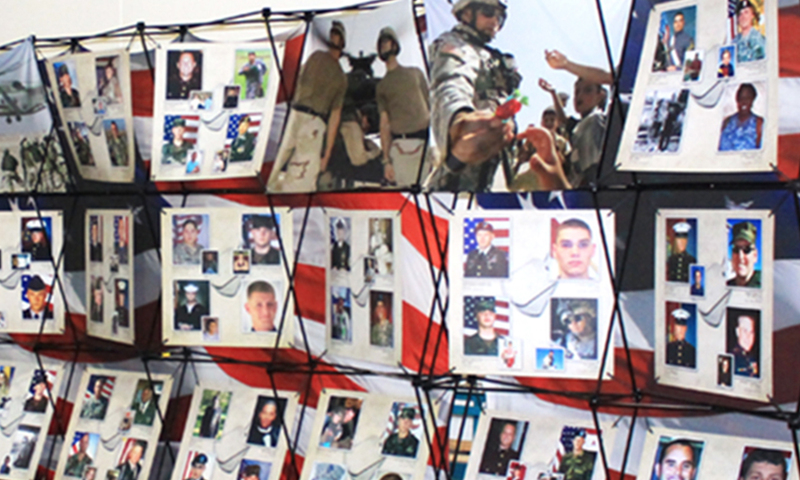 A photo exhibition that honors Nebraska and Western Iowa warriors who made the ultimate sacrifice in the War on Terror. This section of the museum also includes displays focused on the occurrences of September 11, 2001 and honors those who gave their lives for our freedom. 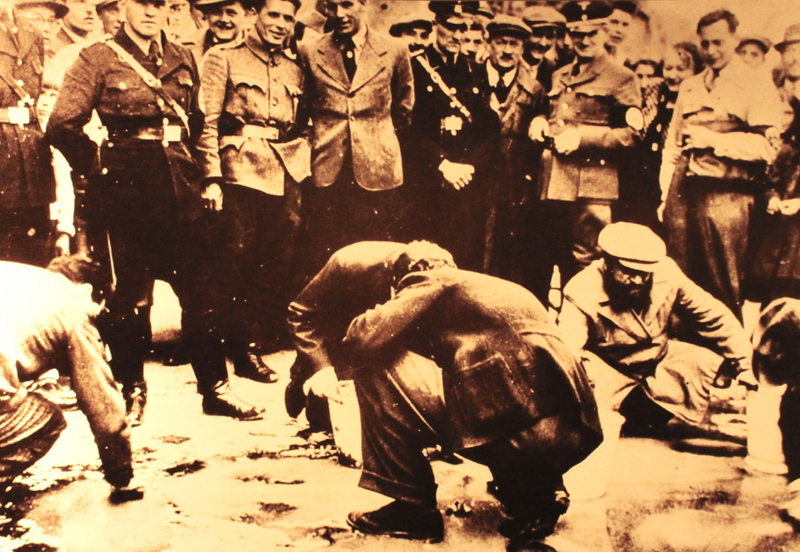 This is a unique and moving exhibit that asks its audience to consider the search for humanity during the Holocaust and to reflect on man’s obligation to humankind. Nationally-known artist, Matthew Placzek, sets an affecting environment with photos, memorabilia, and testimony of Nebraska Holocaust survivors, soldiers, and those whose courageous actions liberated prisoners from concentration camps in Nazi-occupied Europe. Upon entering the exhibit, an emotional journey unfolds for visitors as the images chronicle remarkable personal experiences of confronting one of the most inhumane periods in our world’s history. Click here to be taken to the IHE website. 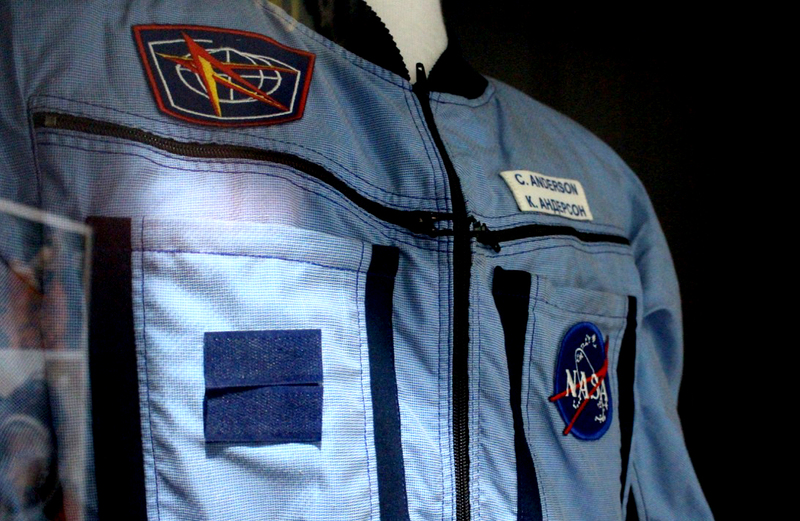 The Heartland Astronaut exhibit highlights the rise of Clayton Anderson, an Ashland, NE native, who used his determination and passion for science and space to propel him through the NASA astronaut training program. When his number was called, Clayton traveled aboard Shuttle Mission STS-117 to the International Space Station in the summer of 2007. Clay also completed Shuttle Mission STS-131 in 2010. This exhibit outlines his early life in Nebraska, as well as the intense training undertaken prior to his launch. Artifacts include flight suits, a flown shuttle tire, and cameras used by Gemini astronaut, Wally Schirra. 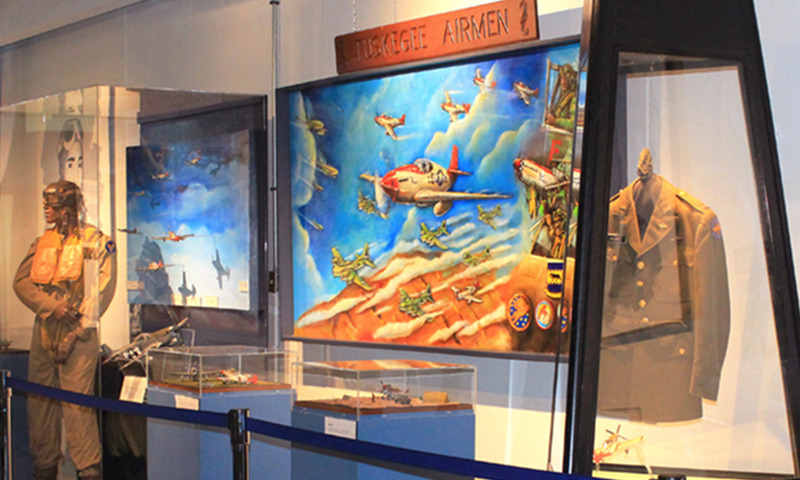 The display commemorates the Tuskegee Airmen of World War II, featuring artifacts from Tuskegee Airman Paul Adams from Lincoln, Nebraska. Adams group flew 1,500 missions in Europe and North Africa. He served in nine major campaigns and was presented the Commendation Medal with three Oak Leaf Clusters, each of which signifies subsequent bestowals of the same honor. The exhibit “From the Ground Up: Air War Vietnam” features artifacts from the Strategic Air Command and Aerospace Museum’s collection, the National Museum of the United States Air Force, collectors and veterans as well as oral history interviews that bring the drama and courage of the air war to life. 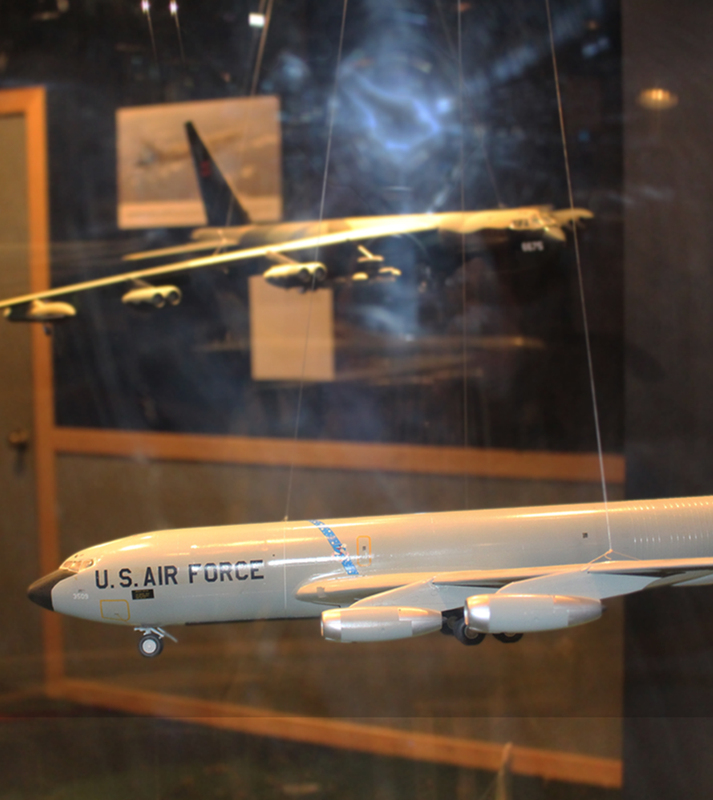 The exhibit is timed in 2018 as part of the 50th Anniversary of peak U.S. involvement in Vietnam and will include content on Operation Arc Light, the B-52 strategic bombers mission in Southeast Asia and Operation Rolling Thunder, the aerial bombardment campaign conducted by the U.S. against the Democratic Republic of Vietnam. The exhibit is on permanent display. The museum guides guests from the role of the Forward Air Controller on the ground to the strategic bombing missions of the B-52 above 30,000 and beyond. Though the Tet Offensive of 1968 may have eroded support for the war, the air war in Vietnam remained strong and consistent. Our exhibit also includes recognition of those who fought and died in service to their country during the Vietnam War. “Individual Reflections from the Wall” exhibit displays photographs, letters and personal mementos left at the Vietnam Memorial Wall in Washington D.C.
We also acknowledge Linebacker II with artwork and artifacts depicting the men and machines of the U.S. Seventh Air Force and U.S. Navy Task Force 77 that took part in the bombing missions on Haiphong and Hanoi, North Vietnam during the last two weeks of December 1972. Here B-52 bombers flew large numbers of attack missions as a means of bringing the North Vietnamese government back to the table for peace talks. 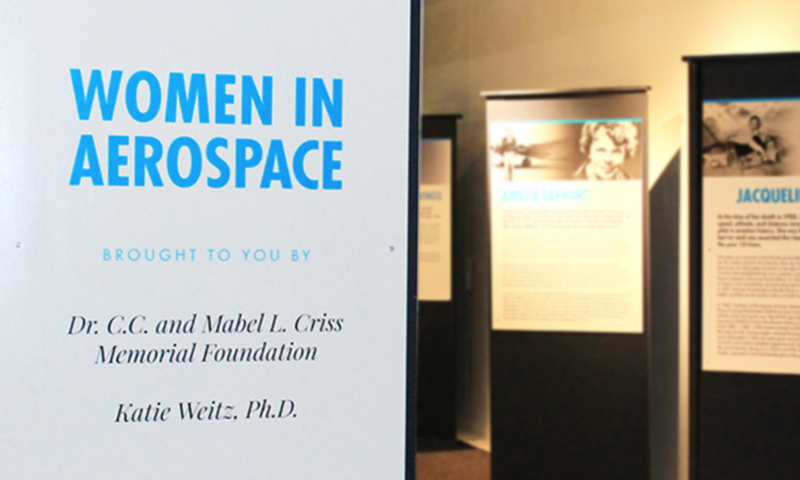 The exhibit highlights significant women of flight and the events of their day. This exhibit covers more than 100 years of history, honoring their incredible achievements of those internationally and right here in Nebraska.